Budgies are fun, cute, mischievous characters to have around. They offer great companionship and love to show you when they are happy by chirping and prancing on their perches. They can often be seen dancing and singing to music and love nothing more than interacting with their fellow birds and humans. However, before deciding whether a budgie is the right pet for you, you need to ensure that you know what a budgie requires to live a happy and healthy life. You can then decide whether you can give your budgie the time and attention it deserves. Cage - ideally 100cm x 50cm x 80cm (40 inches x 20 inches x 32 inches). When looking for a cage try find one with horizontal as well as vertical bars as budgies love to climb with their feet and beak as well as fly. Perches – preferably wood not plastic. You can use natural branches as perches such as those from willow, elder and apple trees. Branches of different widths will help your budgie exercise its feet and keep its nails short. 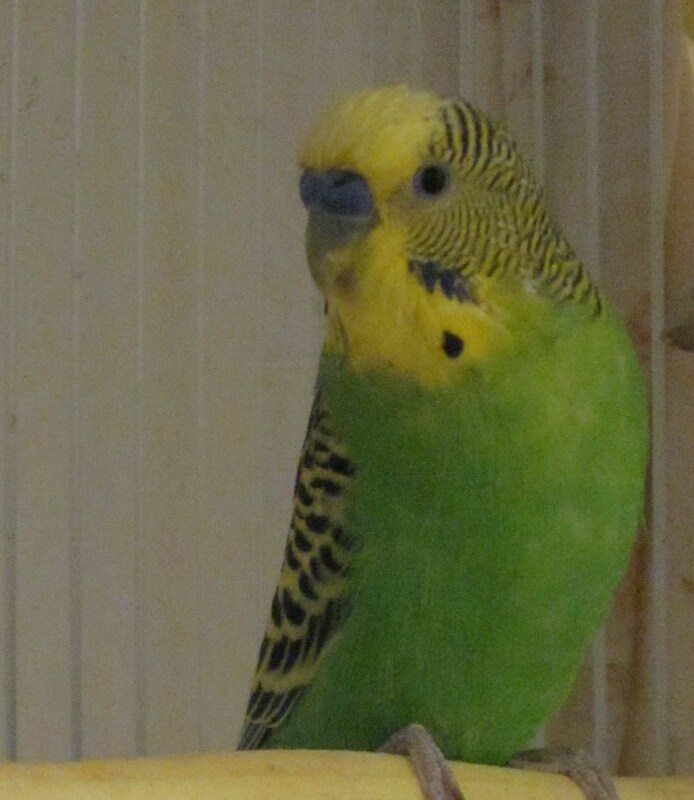 Budgies are easy pets to care for and have few requirements. 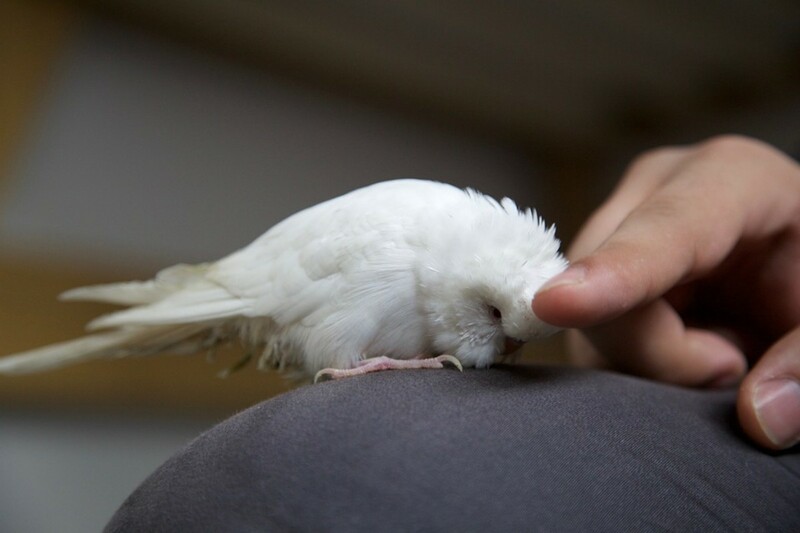 However, it is important to ensure that you are fully aware of the commitment you are making before you decide whether a budgie is the right pet for you. The average life span of a budgie is 8-10 years although they can live longer than this. Additionally, your budgie will require daily exercise and its food and water bowls must be cleaned regularly. You also need to consider whether you would like a single budgie or a pair. Budgies offer their owners enormous entertainment and companionship but if you cannot give your bird a great deal of time and attention it may become lonely and stressed. You may therefore decide to buy a pair who can keep each other company. If you do decide to buy a pair it is advisable to purchase a male and female or two males. 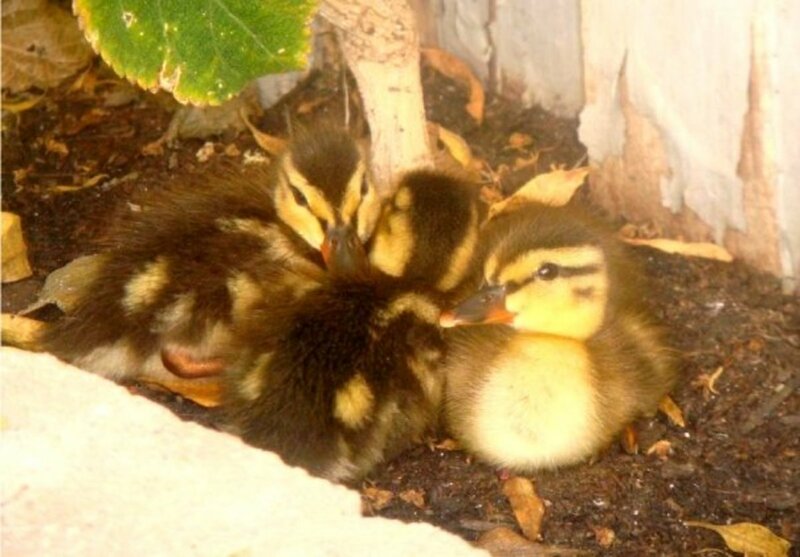 A male and female will not produce offspring unless provided with a nesting box. Two hens will almost certainly fight and cause each other harm. A clean and well cared for environment. The cage should not be cramped and dirty. Active, playful, chattering budgies. They should not be timid or quiet. Make sure the budgie’s eyes and nostrils are clean and free from discharge. Feathers should be sleek and healthy looking. They should not be damaged. The budgie’s feet should be clean with four toes on each. The barring on the head extends all the way down to the cere (waxy covering at the base of the upper beak). The eyes are dark and do not have the white irises that most adult budgies have. The cere is mauve. 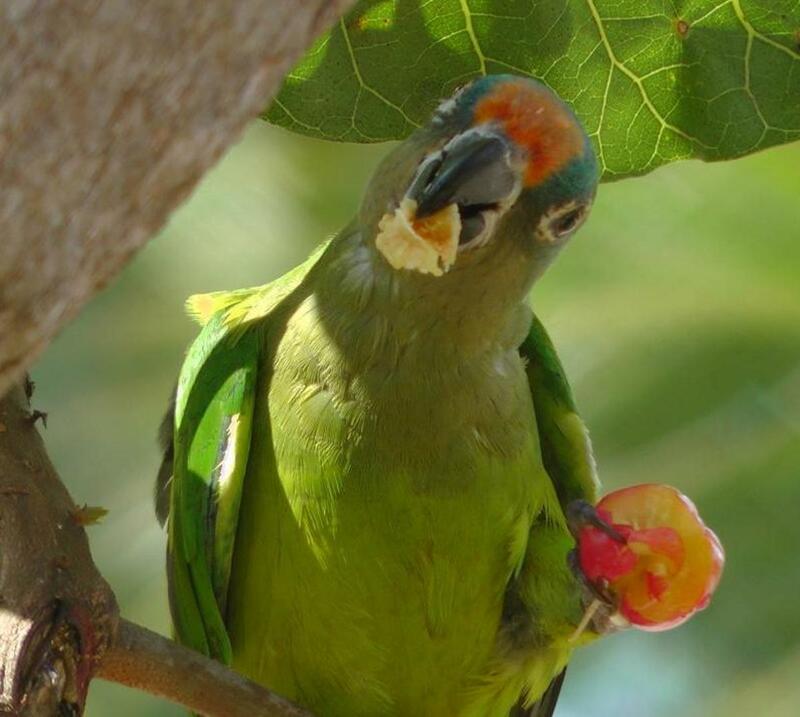 In adult males the cere will usually be blue in most varieties and in adult females it will usually be brown. Before you bring your new pet home you should ensure that the cage is ready and situated in a quiet part of the house away from any loud noises, excessive heat or drafts. You could cover half of the cage with a tea towel or sheet so that the budgie has somewhere to hide and feel safe. On arriving home you should introduce your bird to its cage and leave it alone to settle in. Your budgie will be very frightened at first and will need time to get used to its surroundings. It may take a few weeks for your budgie to gain confidence. Your budgie will require fresh food and water every day. Your budgie’s main food source should be a good quality budgie seed mix. When your budgie eats seed it nibbles the husk off the kernel and leaves it behind in the food bowl. This causes empty husks to gather at the top of the seed bowl and they must be removed each day so that your budgie can reach fresh seed. Water must be replenished daily so that it remains clean and free from bacteria. Do not feed avocado or lettuce. A mineral block and cuttlefish can be placed in the cage to keep your budgie’s beak trim and provide it with additional minerals to help keep bones healthy. There are many commercial treats available in pet shops and supermarkets such as seed bells and fruit sticks, however they are often high in honey and should therefore only be fed occasionally. Budgies also enjoy millet sprays as a treat but you should bear in mind that millet is fattening and should only be offered once a week. Many budgie experts believe that budgies should always be provided with grit as it is necessary for its digestive system. It is thought that the grit particles help break down the seed in the gizzard ready for digestion. However, other experts contest this and believe that the purpose of grit is to help birds break down the husks that they swallow with the seed, as budgies do not eat the husks they say there is no need to supply grit. This is ultimately the budgie owner's decision. The PDSA do recommend grit. Once your budgie has settled into its cage and is beginning to grow in confidence then you will need to ensure that it has enough exercise. Your budgie requires time out of its cage to fly. The more time you have available to allow your budgie out of its cage the better. The environment must be safe, electric fans should be switched off and you must ensure that all windows and doors are shut. Budgies can be excellent escape artists and it is estimated that 6 out of 10 budgies escape each year. Be warned budgies love to chew wallpaper, books, magazines and papers. If left unattended they can cause damage to your interior decoration. Also ensure you do not have any poisonous, prickly or thorny plants in the room. Other dangers include candles, toilets, water containers that your budgie might drown in, ovens, fires and poisonous substances such as graphite in pencils, adhesives, varnishes and detergents. Just like humans, budgies are diurnal. This means that they are awake during the day and sleep at night. 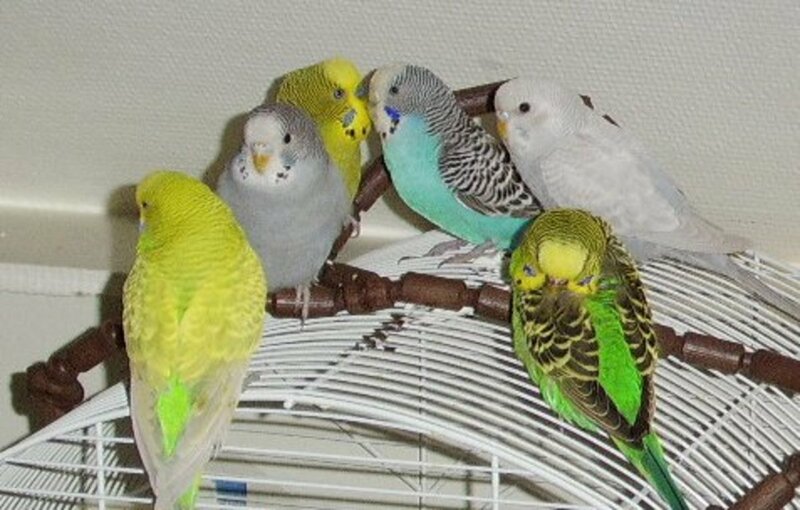 However, beware, if your budgie cage is placed anywhere near a window it will wake as soon as the sun rises and can be very chirpy at this time of the day! Budgies require at least 10 hours of sleep each night. A good way to ensure that your budgie gets enough rest is to cover its cage at night and remove the cover once you are awake in the morning. Your budgie will also doze during the day. You can tell when your budgie is dozing as it will sit quietly with closed eyes, one leg drawn up and its head slightly tucked into the side of its wing. 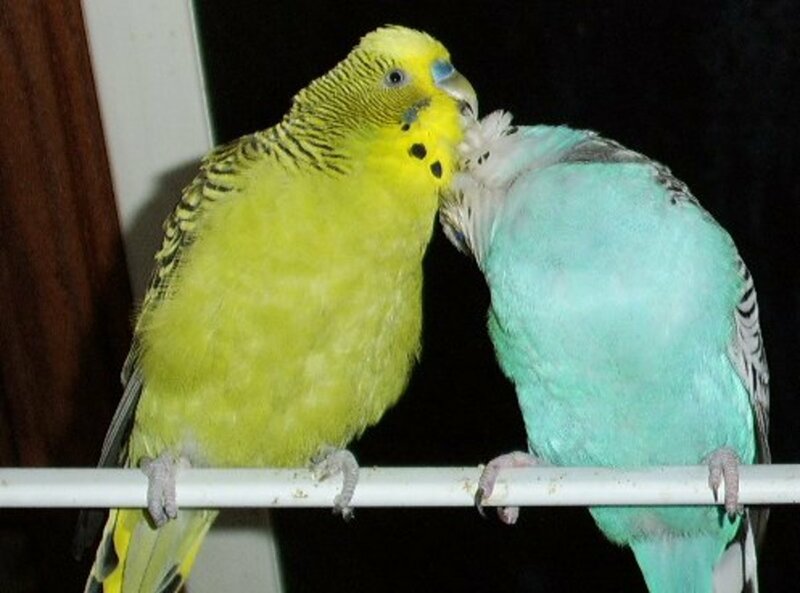 Your budgie will keep itself clean by preening its feathers daily and bathing in its bird bath. However, it is up to you to ensure that your budgie’s cage and equipment are kept clean and safe. All cleaning can be done with hot water and a wire brush. Detergents should never be used as they are poisonous although pet safe detergents can be purchased from pet shops. See the table below for a list of jobs you will need to do. Provide clean water and remove husks from the top of your budgie’s seed. Clean the cage thoroughly with hot water and if necessary a pet safe detergent. 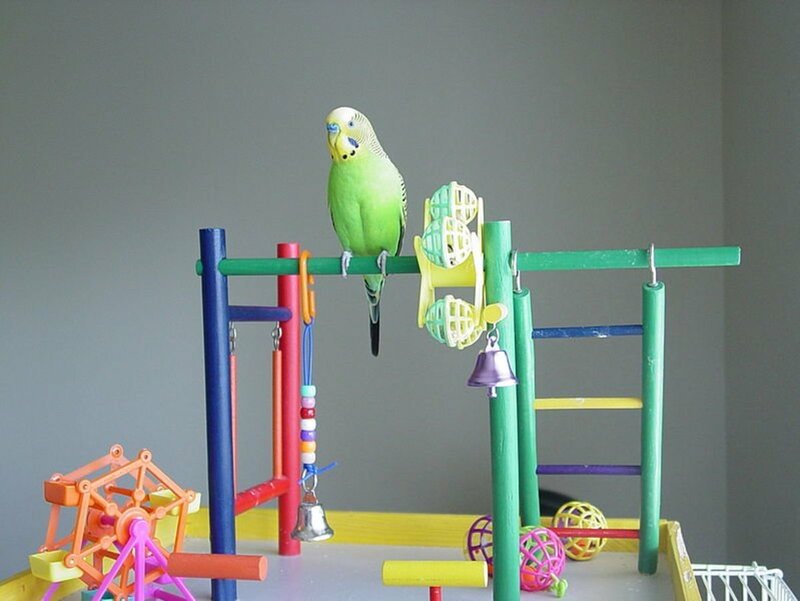 Check the cage and clean any dirty toys or perches. Remove any fruit or greens that have been in the cage for longer than 24 hours. Ensure that all toys, perches and utensils are clean. 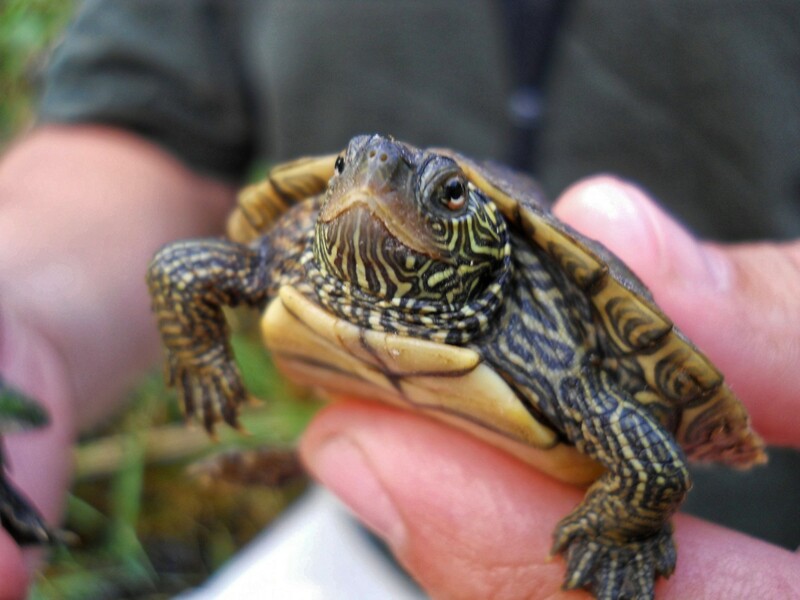 Pet Turtles for Kids: Should You Get One? 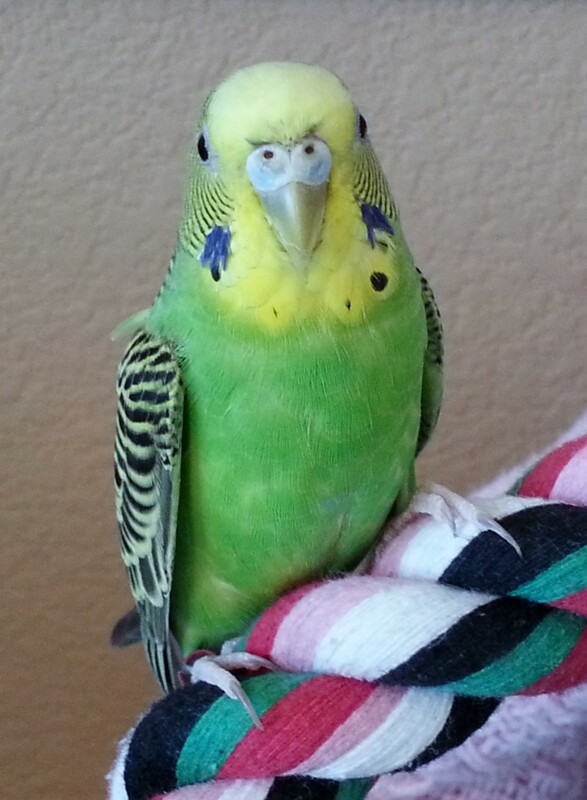 Our budgie is now 7yrs old. We took him to our vets 3 weeks ago because his poop had become very watery. I had to add a small pinch of the yellow powder to his drinking water for 7 days. Although some improvement, he is not his usual self, he is now very quiet. Really no chirping at all. ( and he never shut up when my hoover was on ). He is mainly puffed up all the time, and seems always to be curled up asleep. He is still eating and drinking, but no chirping. Is there something that I should be doing for him now, or is this very sadly all to do with his age? Please can you advice me? My room is so un-naturely quiet. My budgie loves lettuce. Why is it bad for them to eat lettuce? Mysteriously 2 honey budgies came to me a lady just lost her mom and gave me the birds. Didn't speak english so glad I found you website!! my last bird lived 23 human years I wanted to know if the seeds from green bell peppers would be good for them my sherbert loved them! And only the lovebird sleeps with its head on its shoulder. The budgie only close its eyes puff and sit on the perches (when it it not hanging on the bars) but remains sealed to it with his feet. The lovebird instead sleep too well and loses his balance and risk of falling often, even when it's awake. This time I don't have normal pets... not that I've always had a normal one, but these beat them all! Thank you for your hub ^^ It was nice reading it! Now I have a budgie and a new lovebird but they are both weird. First, the budgie is scared of water, tremendously scared of water and also never drink. The lovebird is not friendly and playful either, but at least it tried to take a bath... and now I've noticed that the bath is small for a lovebird....maybe it's a canary bath, not a budgie nor a lovebird bath. I really hope they will become noisy and friendly also because I always keep the cage's door open at night and day, to let them do what they want.... but they want to stay inside, sleeping and puffing their feathers. Any tips on how to make your bird friends friendly and playful?